A new car warranty does not cover against wear and tear of what are called ‘consumable items/parts’, which must be replaced as they wear out, at the owner’s cost. These include parts such as tyres, light globes, filters, gaskets, hoses, belts, brake pads, brake rotors, clutches, trims, seat trims, buttons, switches etc. As you can understand, many of these such parts are used on a daily basis and will wear out in time. What can void your new car warranty? Modifications can also void your new car warranty. If your car is modified in any way that does not conform to the Australian standards or the manufacturer’s specifications, for example lowering the suspension or placing a chip to enhance the engine’s performance, then you could have a problem. Warranties do play an important role in making sure your new purchase performs as expected, all the while it is worth remembering there are certain parts of a car that will need replacing that you will have to budget for, to reduce those unexpected bills popping up! Most manufacturers now have capped price servicing, whereby you can see what the set costs will be for servicing your new car, these can be located on their websites. 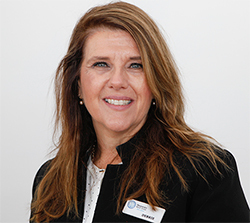 Debbie Clark is the Dealer Principal at Nepean Motor Group. Visit www.nepeanmotorgroup.com.au.